Donald Lee Pippenger, 80, of Frankfort, passed away on Monday, March 19, 2018 at Milner Community Health Care in Rossville. He was born on June 19, 1937 in Monticello to Albert and Julia (Jackson) Pippenger. He was a 1956 graduate of Frankfort High School. He married Judy D. Schoman on November 16, 1956 and she preceded him in death on September 22, 2017. He worked as a machinist for Chrysler for 46 years, retiring in 2000. He enjoyed animals and anything outdoors, as he “loved the country”. Memorial donations may be made in Donald’s honor to the Clinton County Humane Society with envelopes available at the funeral home. A funeral service will be held at 2 p.m. Friday, March 23, 2018 at Archer-Weston Funeral & Cremation Center in Frankfort. Friends may visit from Noon until the time of service on Friday at the funeral home. Burial will follow in Green Lawn Cemetery. Survivors include his Daughter: Anita Marie Pippenger (Terry Haines) of Lafayette; Son: Brian Scott Pippenger of Flora; Grandchildren: Brandon (Ashley) Pippenger of Argus, IN and Tabitha Pippenger of Flora; and Great-Grandchildren: Emily, Megan, and Cori Pippenger. 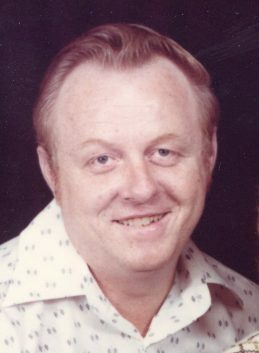 In addition to his parents and wife, he was preceded in death by an infant daughter Randi Rene Pippenger, brothers: Jack and Bill Pippenger, and sister: Betty Thurman. I’m so very sorry Brandon and Anita. The loss of a parent and grandparent is grief beyond measure. He was a really nice guy. Know he is with Judy and is a peace and out of pain.